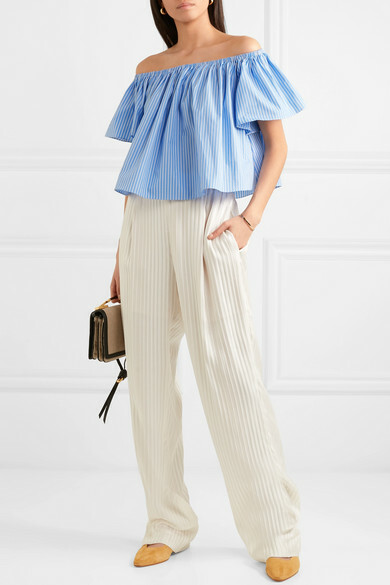 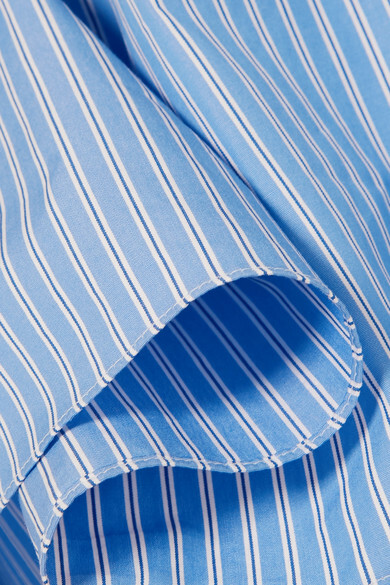 Inspired by menswear shirting, Stella McCartney's top is crafted from striped cotton-poplin in a breezy loose silhouette. 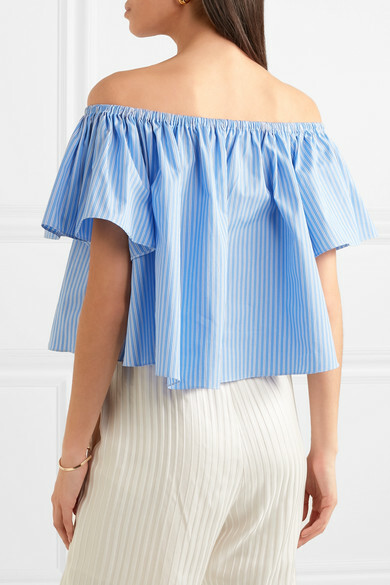 It has an elasticated off-the-shoulder neckline and wide-cut sleeves. 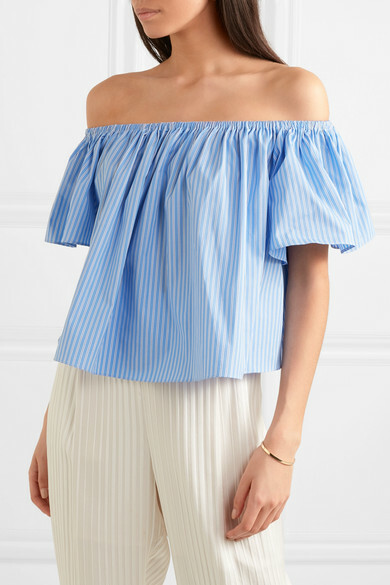 Wear yours with white tailored pants and mules.